Many are isolated, orphaned and lack a lot of basic needs. Food and water are essential to their health and participation in school to which these are not accessed in the remote schools. With our recent survey more children have left their schools in search for labor so as to fend for their homes and provide food at home. Our Vision necessitates provision of a home and new beginnings for such as these and through the “Build A Village” Cause – Every Mtoto w’afrika will get access to enough nutritious foods as the agricultural projects will ensure sustainability. There is great need to provide a balanced diet meal to have them live a healthy life. Be apart to bringing a meal on the table of many today. 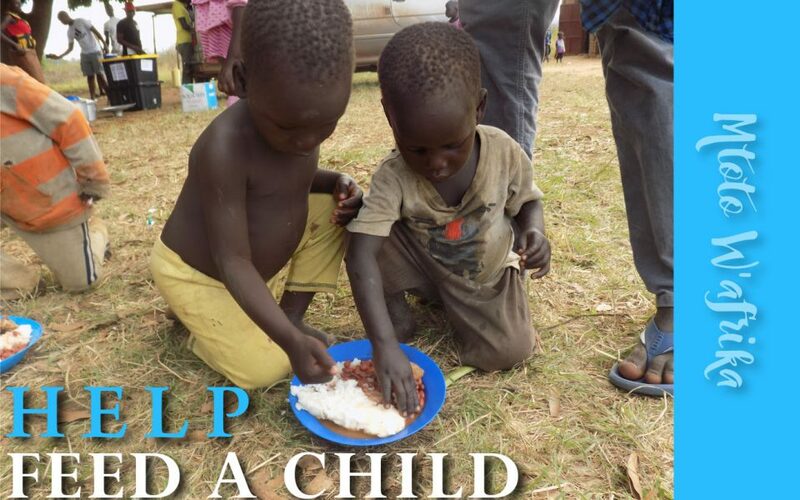 Although nutritional feeding is a core goal, Feed A Child Mission is centered on not seasonal but lasting help. Sharing Christ as the hope for all is a core goal so as to focus and groom a higher purposed generation.